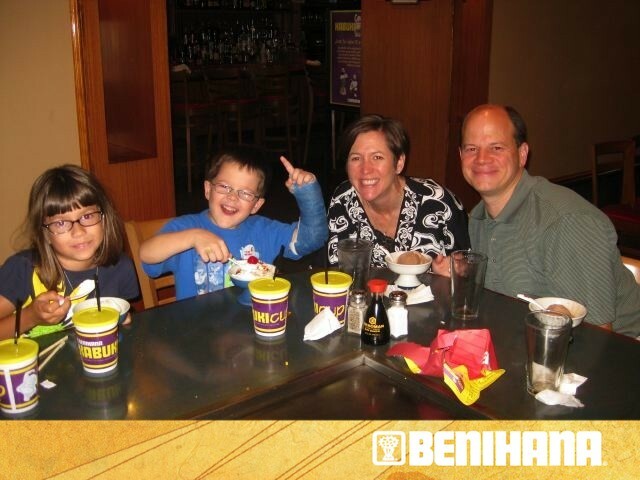 Evan picked BeniHana for dinner, even though it really doesn’t seem like they like it very much. Ella downed an entire order of Edamame and they both had ice cream. After dinner, we opened presents. Evan has previously not been a great present opener. He likes to get one open and then play with it. Christmas day has sometimes taken more than 10 hours to get through. But now he’s fully into ripping everything open and then picking from the collection.